Dyson Ball Vacuum Toy Just $20.99! Down From $40! You are here: Home / Great Deals / Amazon Deals / Dyson Ball Vacuum Toy Just $20.99! Down From $40! Head over to Amazon to score this Dyson Ball Vacuum Toy for just $20.99 down from $39.99 PLUS FREE shipping with Amazon or for orders over $25! Little ones adore role play and pretending that they are doing jobs around the house – just like the grown-ups. 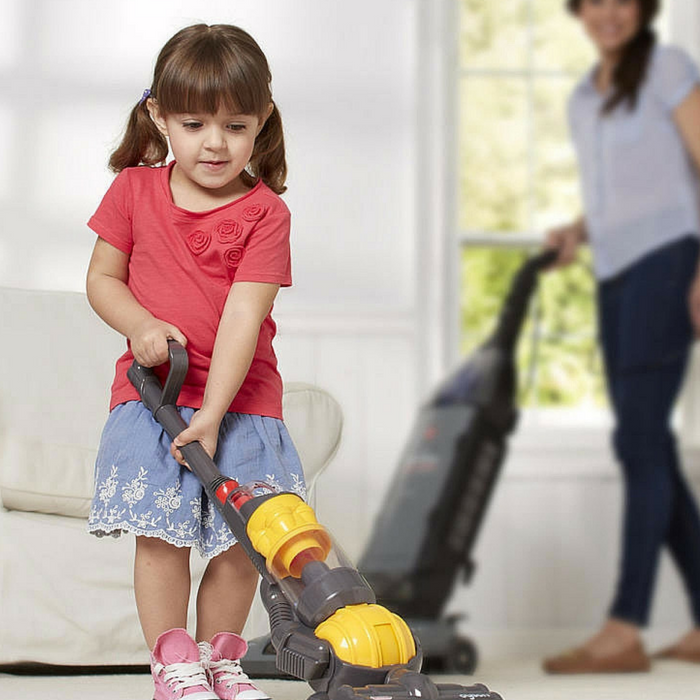 This Dyson Ball upright vacuum cleaner has been specially designed to be true to life, right down to the last detail so your little helper will really feel part of your world while developing essential life skills. Casdons’ Toy Dyson Vacuum is a direct replica of the latest “Ball” model. This realistic toy features a simulated cyclone action with colourful balls, so you can see it working. It also ‘Twists and Turns’ just like the real thing. This great toy also has real suction from the foot of the vacuum that is designed to pick up small pieces of paper waste or small poly beads. Please note the suction on this toy will pick up small pieces of paper or polystyrene balls.